Off cycling path. 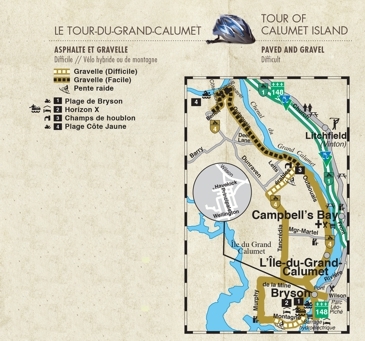 54 km circuit starting in the small riverfront village of Bryson. 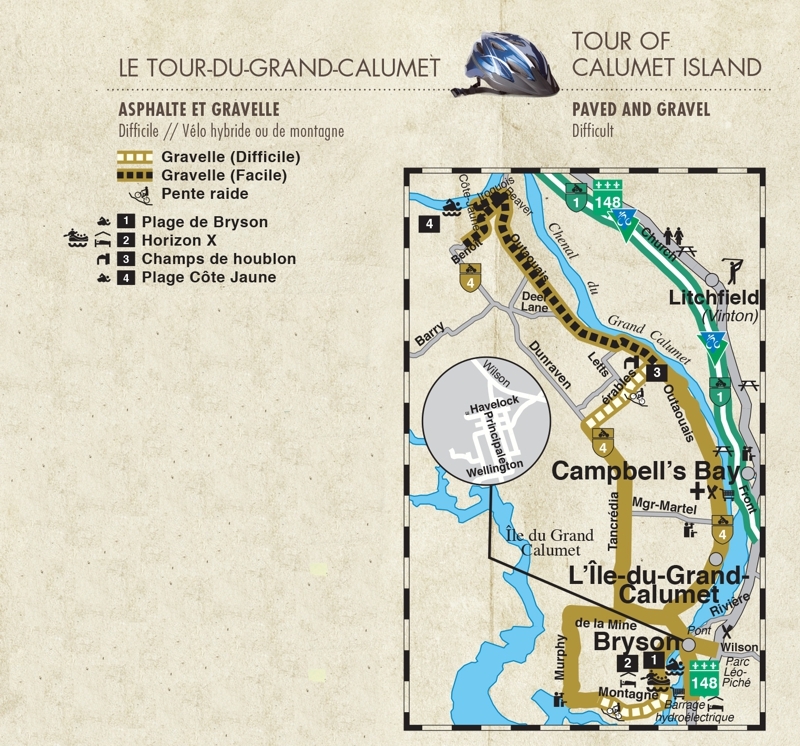 L'Ile-du-Grand-Calumet is rich in Algonquin legends and the final resting place of the famous 'coureur des bois', Jean Cadieux.